How to use the Open dialog. When you press Alt+F,O or Ctrl+O the Open dialog appears. 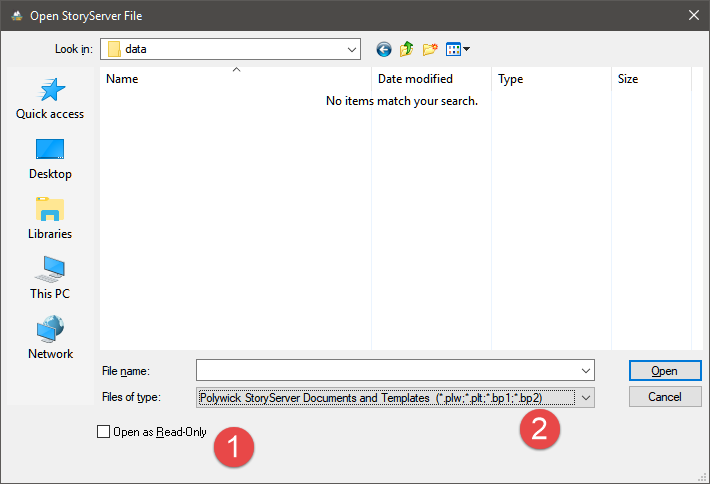 Using this dialog box, you can select StoryServer files to open. Open the file as read-only. Select file type to open.